Every year hundreds of people come to our Surrey-based dealership with the intention of trading in their current car, truck, or SUV for a new Volkswagen. And the one thing they all have on their minds is: how do I get the most for my trade-in? It’s a fair question, and one you might have considered as well. Therefore we’ve compiled a list of tips you can use to ensure that when it comes time to trade in your current vehicle, you’ll receive the biggest return possible. A vehicle that has been well-maintained is worth more than one that hasn’t, but how to prove it? 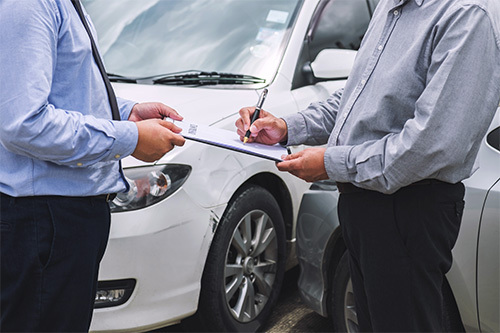 Maintenance records are definitive proof that your vehicle has received regular maintenance, and therefore is worth a premium. The more extensive the history is, the more your vehicle becomes worth as well, so make sure you’re saving those receipts! 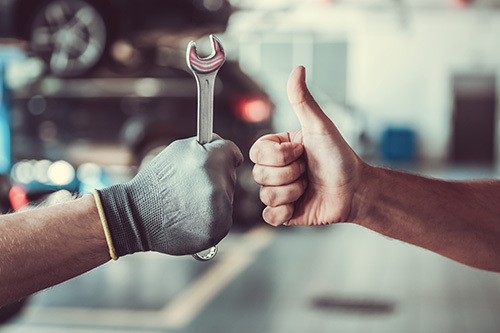 If you regularly service your vehicle with us, our Service Department would be more than happy to print out your vehicle’s maintenance history. It’s natural for a vehicle to become damaged to a certain extent over time, but a pristine vehicle is worth more than a damaged one. Therefore, prior to trading in your vehicle it’s best to have any obvious damage repaired. Small dents can be eliminated using paintless dent repair, and any scuffs or scratches can be eliminated with a good polishing. Contact Us for more tips on how best to make your vehicle look its very best. It’s also important that your vehicle be free from any outstanding repairs or maintenance items. Should your vehicle require work to bring it back to perfect working order, that money will be taken out of your trade-in’s value. So before bringing it to a dealer, make sure you have a professional mechanic inspects your vehicle to ensure it has a clean bill of health. You can Book an Appointment with our team of factory-trained service representatives to have your vehicle professionally inspected. A common mistake people make when trading in their vehicles is not cleaning them properly prior to the assessment. A dirty vehicle makes a poor impression, as it suggests that the owner doesn’t take proper care of their automobile – and therefore it is worth less. A clean vehicle on the other hand, creates a positive impression that you are diligent in your maintenance – and therefore your vehicle is worth more. So give your trade-in a good cleaning inside and out to ensure you maximize its value! Every vehicle, no matter how well built, will have parts that need to be replaced over time. Air filters, brake pads, and tires are just a few examples of items that have a limited usable lifespan. If these items need to be replaced upon trading in the vehicle, the cost of replacement will be taken out of your trade-in’s value. If you drive a Volkswagen and are unsure what parts need to be replaced and when, visit our Maintenance page for more information on your specific vehicle. Those were our tips on how to get the most back for your trade-in, follow these and you’re sure to have a pleasant experience when it comes time to trade in your vehicle. And if you’re considering trading in your current vehicle, perhaps you’d like to visit our New Vehicle Inventory to find that perfect new Volkswagen to replace it.